The main goal in any disease outbreak is to control the spread of the disease. Rabies can spread very quickly in a population via dog bites and will inevitably enter the human population. If rabies is re-introduced into a rabies-free area, rabies control strategies should aim at eliminating the disease so to re-establish a rabies-free status. If the introduction of rabies into an area is suspected (whether by the community or veterinary/medical officers), the Veterinary Services and Zoonoses Department/Ministry of Health must be notified immediately for further investigation and laboratory confirmation. If the outbreak is confirmed, an operational response needs to be initiated immediately. The control strategies chosen should: (1) protect public and animal health; (2) minimise animal welfare problems; (3) cause the least possible disruption to local communities, the tourism industry and visitors; (4) minimise the burden to the public and (5) minimise damage to the environment. This section provides guidelines on critical aspects of an effective operational response. Government ministries (predominantly Ministries of Agriculture and Health, but also Defence, Environment/Tourism, and Education) that have the task to formulate/review control strategies in compliance with domestic and international legal obligations and ensure appropriate engagement of all those concerned across government. A National Disease Control Centre can be established to ensure translation of strategic advice into practical guidelines to those controlling the disease at the operational level and to provide overall coordination. Local operational partners (local authorities, police force, veterinary and medical practices) that will have a critical role in enforcement and implementation of disease control strategies, including provision of contingency resources (vehicles, equipment, buildings) and staff, and advice and education at the local level. At the operational level a Local Disease Control Centre could be established to help coordinate and implement disease control operations. 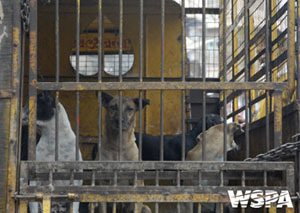 Local and international welfare organizations to provide advice on animal welfare matters, including killing methods that might be required for disease control purpose (described here) and training of local officers in accessing dogs that are particularly difficult to handle. International bodies (WHO, OIE, FAO and EU Commission) that may have in-country presence. It is especially important to allow recognised experts in the field of rabies control to help review strategies to manage the outbreak. Media (national and local radio, television and newspapers) to disseminate information on the current status of the outbreak, and objectives, means and progress of the operational response throughout its duration. All information disseminated needs to be approved by the Veterinary and Public Health Services. Here you can find more information on these agencies and their responsibilities. Adequate financial resources need to be ensured to manage the outbreak. An approximate budget can be determined using existing estimates from a range of settings: click here for additional information on costs for dog vaccination, quick estimates of dog population sizes, and costs for human post-exposure treatment. Establishing a task force of representatives from key ministries may provide an opportunity for rapid mobilization of funds. Click here for information on sources of funding that might be available and on other resources needed to set up rabies control programmes. Human resources need to include appropriately trained veterinary and medical personnel, and technical laboratory staff to ensure prompt implementation of outbreak investigation operations and control measures. Click here to view personnel that may be available for canine rabies control operations and specifically personnel for dog vaccination. If the outbreak cannot be managed using existing staff resources, you should assemble a pool of emergency personnel (including volunteers) with the necessary skills or provided with adequate training. Training of field personnel in procedures for safe dog catching/handling, vaccination, sample packaging and dispatch to the laboratory should be organised by the veterinary authorities as a matter of priority. Tracing the origin of the infection and how and when the disease entered an area. Tracing dog-bites including investigation of the origin of likely exposures (offending animals) and identification and control of humans and contact animals at risk. This is important to limit the spread of the disease and ensure adequate treatment of human exposures. If suspect animals (unvaccinated dogs that have bitten a person) can be confined in appropriate holding facilities or on the owner’s property (provided that there are no risks of accidental exposure of the owner or other people), they should be observed daily for clinical signs of rabies, as described here. Dogs with signs consistent with rabies and high risk contacts (i.e. exposed to the bite or scratch of a rabid animals) should be euthanized immediately using humane techniques, available here. If suspect dogs cannot be quarantined and observed daily they should be euthanized immediately. Dogs that do not develop signs should be vaccinated prior to release and returned to owner. Exposed individuals should be provided with immediate first aid and seek medical advice (see control measures). Collection of brain tissues of suspect animals (dead or euthanized) and prompt submission to reference laboratories for laboratory confirmation. Read more about the supplies needed for sample collection in the field, sample collection techniques, and the minimum requirements for laboratories performing basic rabies diagnosis, including supplies needed and protocols. Full details on the personnel and infrastructure needed for an adequate surveillance program can be found in Section 3.3 of the Rabies Surveillance Blueprint. Determining the genetic characteristics of the virus would provide additional information on the possible origin of the outbreak. (How much detail to include on the animal’s identity and species is indicated in the Rabies Surveillance Blueprint, Section 4.7.) If the local infrastructure is not adequate, international reference laboratories, listed here, can provide support with molecular analyses. Clear definition of reporting and notification procedures (including reporting of laboratory results to local authorities) and possibly establishment of on call (24 hrs) systems. A complete overview of these communication systems is given in Section 6 of the Rabies Surveillance Blueprint. Declaration of infected areas/places with clear establishment of the boundaries of the infected area/place. Warning signs should be erected on all roads at the boundary of infected areas/places as well as at other boundaries such as railway stations, ports, marinas and airports estuaries. Control of dog movements into and out of infected areas/places to reduce opportunities for potentially infected animals to come in contact with susceptible animals. This can be achieved by encouraging dog owners to confine their dogs and by monitoring movements at designated points, as described here. Strict regulations should be imposed against importation (via sea or airports) of animals of unknown vaccination status particularly from areas where rabies is known to be present. The most effective way to reducing the number of susceptible animals in an infected area is through intensive mass dog (and cat) vaccination. 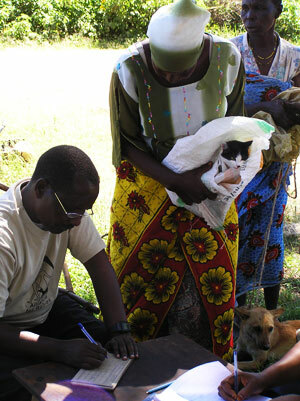 Click here to find out why it is advisable to include cats in vaccination campaigns. Take into account the resources required and provide ground staff with appropriate training (see resources and personnel required). Ensure procurement of all necessary supplies. Click here for the list of what you need to buy. It is important that efficacious and long-acting tissue culture vaccines are employed. If vaccines are limited you should focus on areas of greatest need first, starting with vaccination in and around outbreaks. Adequate vaccination coverage (at least 70%) needs to be achieved rapidly and sustained (e.g. through compulsory annual vaccination). The most cost-effective strategy to reach a large enough number of dogs in a relatively short period of time is a central point strategy, which is therefore the usual method of choice. The use of more expensive door-to-door strategies should be limited to dogs that are particularly difficult to handle and cannot be brought to vaccination points. The door-to-door approach may well be required when the disease enters a new area because dog owners may be initially unaware of the importance of vaccination. Click here to learn more about methods and protocols for dog vaccination. Dogs should receive temporary marks (click here for some examples) at the time of vaccination so that the proportion of dogs vaccinated can be determined shortly after vaccination using simple techniques (described here). In an outbreak situation, it is especially important to provide owners with vaccination certificates so that the vaccination status of their animals can be determined quickly and so to have specific contact details of dog owners that can be recorded in a central register/database. For further details on establishing a surveillance database, see Section 6 of the Rabies Surveillance Blueprint. Seizure and detention of animals. If detention pounds are not available locally, temporary holding facilities to confine suspect dogs should be set up within the infected area. Click here for information on shelter management suitable for temporary holding facilities. Do not focus on dog population management as part of the operational response. If required, population management programmes (described here) can be put in place once the outbreak has been brought under control. Indiscriminate elimination campaigns of unconfined dogs is not recommended. It is ineffective, unpopular and may increase the risk of rabies spread as dog owners may be encouraged to move their dogs from infected to uninfected areas where no culling is taking place. It also diverts time and resources away from dog vaccination, which is the most effective way of handling the outbreak. 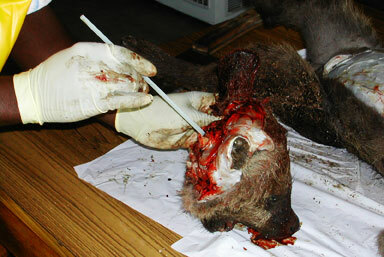 Culling should be restricted to suspect rabid dogs and unvaccinated contact dogs (i.e. bitten by suspect rabid dogs) following published guidelines, provided here and here. Click here for more information about dog culling. All staff that are likely to come into contact with potentially rabid animals (e.g. 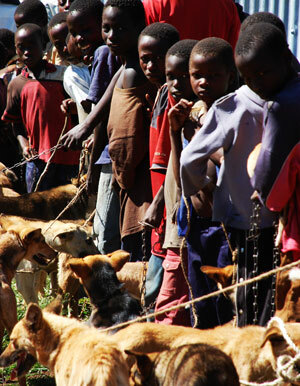 dog catchers and veterinarians/vaccinators involved in the rabies control programme on the ground). Exposed individuals including contacts of a suspected or confirmed case of human or animal rabies, intimate home contacts of patients with suspected or confirmed rabies and other contacts that may have been in direct contact with the patient’s body fluids since the onset of symptoms. Information on human rabies prophylaxis is provided here. Provide emergency contact phone numbers to report cases or receive answers to questions. Media, including local and national radio, television and newspapers. To establish mechanisms for systematic briefing of the media and release of accurate information to the public, press officers in the national press office should be deployed as the main source of information to the media/public. Press notices should also be considered at the national and local levels. Veterinary and medical personnel that should be prepared to advise members of the public who report suspect animals and/or exposures. Printed/audio visual guidance material and letters. Rabies leaflets should be distributed to every household in the infected area and posters should be displayed on public notice boards. Appropriate advertising of vaccination campaigns. Click here for some ideas. previous page: 5.4.19. How can we prevent a rabies outbreak?